Drawing influence from a wide array of musical elements, Drivin N Cryin has developed a unique sound over the years. Their name derives from the eclectic nature of this sound: a little drivin' rock n roll and a little country twang. 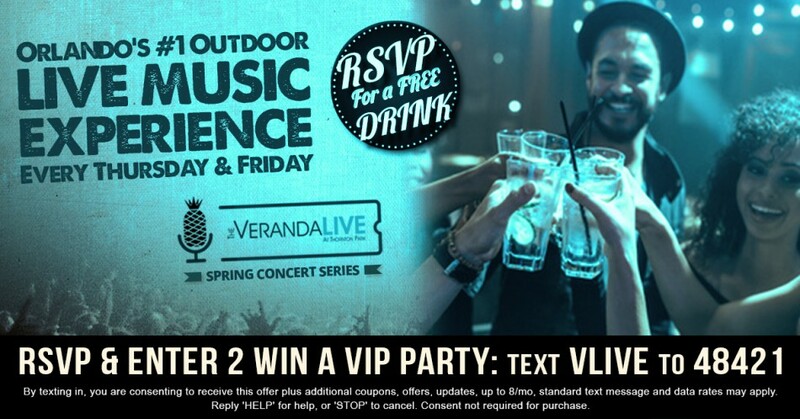 The Veranda Live is Orlando's newest outdoor venue for local and national music performances. 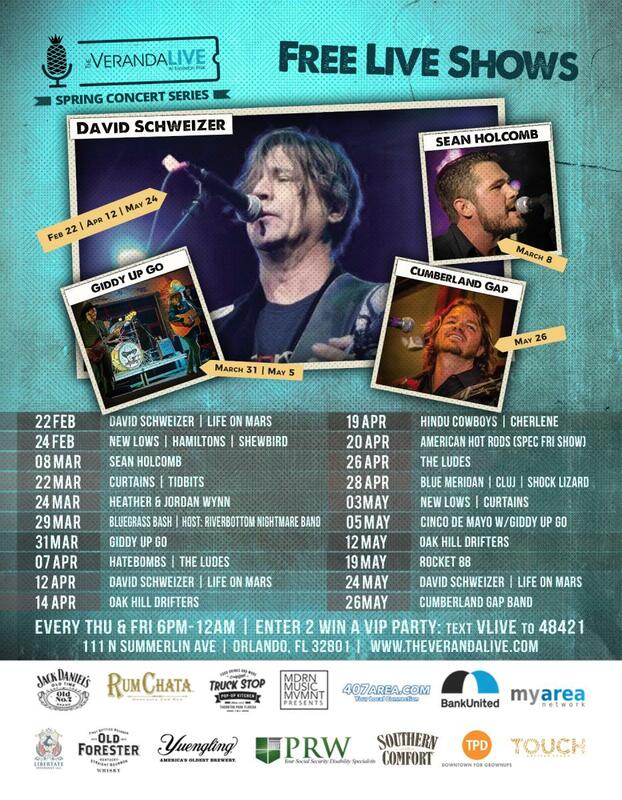 Come see David Schweizer perform live at the Grand Opening of the Veranda Live. The Veranda Live is Orlando's newest outdoor venue for local and national music performances provided by The Modern Music Movement presents. We have updated and accommodated the courtyard at The Veranda of Thornton Park with a new stage, lighting and sound in order to provide the community with free live concerts and events. The Grand Opening of The Spring Concert Series will be held on Thursday February 22nd, 2018 from 6PM - 12AM and will feature a performance from David Schweizer. The event is open to everyone. RSVP for 1 FREE drink. Choose between Yuengling or Jack Daniel's. Valid until 8pm.